Last week, two things happened that caught our attention: 1) Telegram was banned from the App Store 2) major credit card companies revealed they were planning to increase interest rates for any transaction dealing with the purchase of cryptocurrencies. 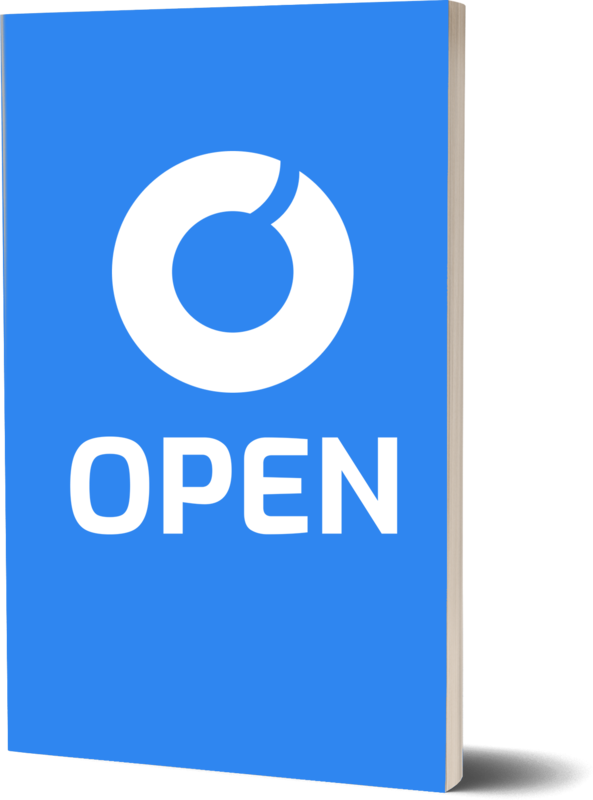 To us, this means the technology we’re building at OPEN is more relevant than ever. SHOULD TELEGRAM GO DIRECT TO CONSUMER? While Telegram is still accessible via other mobile application stores, we have to question whether or not a decentralized future for them is being considered. Going direct to consumer through a decentralized market place makes sense — especially for a chat application that serves as a digital meeting ground for countless crypto holders and fans around the world; their consumers would likely be all about it. At OPEN, while the rails we’re building from applications to the blockchain via the OPEN API, Scaffold, and State are universally applicable (we don’t care if you’re a d-app, a centralized app, or other, OPEN is just that, open to all) we fully embrace a possible future where decentralized app market places become the norm. To that end, the platform is ready to support applications like Telegram by providing the necessary framework for direct to consumer transactions by conventional apps over the blockchain. Read more about our OPEN State for further insight. SHOULD CREDIT CARD COMPANIES HAVE CARTE BLANCHE? For those of us who can’t translate inflated financial jargon, what they’re saying is they’ve reclassified the MCC associated with cryptocurrency transactions. The MCC, or merchant category code, is what’s used by card companies to distinguish between different types of vendors, like a restaurant versus a taxi service. Recently, that MCC for digital currency buys was classified by some major credit card networks as a cash advance, a transaction type that usually incurs a higher interest rate and additional fees. So, next time you want to purchase token through a popular exchange using your usual credit card, beware that the gas isn’t the only fee to be watching out for. And, at present, while this seems only to apply to credit card transactions, we’ve got to ask: since the MCC and additional fees are determined by the financial institution — the merchant bank — what are the possible implications for crypto-buys in the future when using a debit card, or checking account? We aren’t positing that OPEN will single-handedly provide a solve for global banking pain points, or that we can save the day for Telegram, but it does strengthen our paradigm around our on-chain/off-chain hybrid model. Lower transaction fees through blockchain payment gateways using cryptocurrency continue to make a strong case, and going direct-to-consumer to avoid harsh regulatory oversight is more attractive than ever. We are absolutely saying that we continue to be excited about what we’re developing and look forward to being of service to both conventional applications and the blockchain community as we begin to bridge the gap between them in the months to come. *EDIT: After writing this post, JP Morgan chase put an outright ban on buying cryptocurrency.